A long time ago I heard about people paying for someone else’s meal at a drive through or paying for the next person’s coffee at a coffee shop. I love doing that for other people – I have seen them try to wave out their window and flag me down to thank me & of course, I just drive on. It isn’t something I do often enough, in fact, it feels so good to make someone else’s day, that I really should buy other folks’ meals at least a couple times a month (however, heaven knows I don’t need to eat fast food that often, it just makes me feel like I have to run longer at night to burn off the fries!). 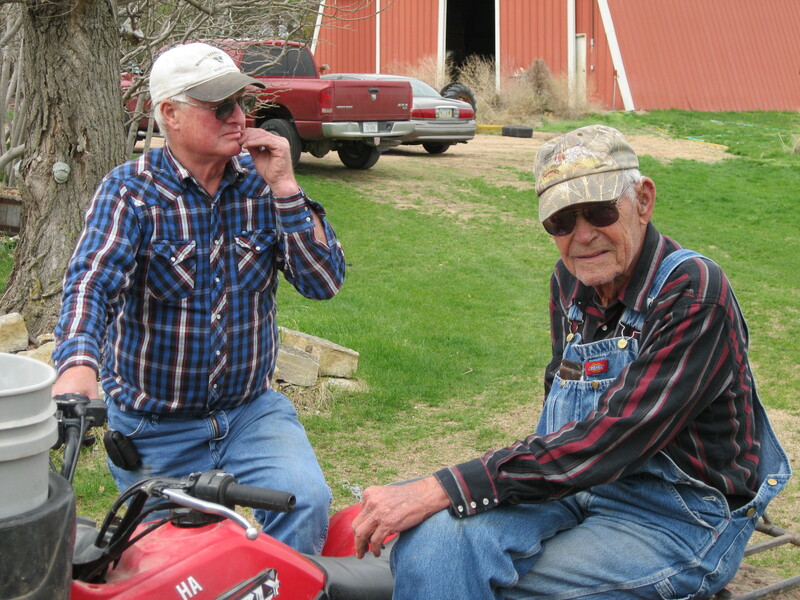 Yesterday, I was standing in line to get a sandwich for lunch and had a good old farmer to farmer visit with a gentleman who happened to be traveling through the area. He was from South Dakota, traveling to Hastings (right up the road from where we live) to pick up a pump. We had the standard weather, crop, cow chat…I think he was ok with speaking to me when I got in line because I chose to wear cowgirl clothes that day. Anyway – when I got to the register, he was on his way out the door & he had paid for my lunch! That was the first time I was ever on the receiving end of that type of random act of kindness. I can’t find the words to describe how that felt since I am usually on the giving side of that scenario. What a nice guy! Those types of acts make me think of my Dad. My Dad is so much like his Dad was…very kind and generous, expecting nothing in return. When Matt and I were first married and trying to start a cow herd, Dad would never charge us enough for feed and care (we didn’t have our own pasture yet, so he let us keep our cows with his). He just wanted us to get our feet on the ground and be able to have some cows. I found out his dad had very generously helped him get started with cows as well. I kept trying to insist that we pay, but he demanded that we repay him by doing something kind for someone else when we have the opportunity. I can’t help but imagine how different our world might be if everyone had that mentality. To this day, Dad will give us vegetables from his amazing garden, meat from his freezer and loan us any piece of equipment we may need to borrow. Yep – I’m lucky to have an awesome Dad! Make yourself feel really good today – go out and do something kind and random. 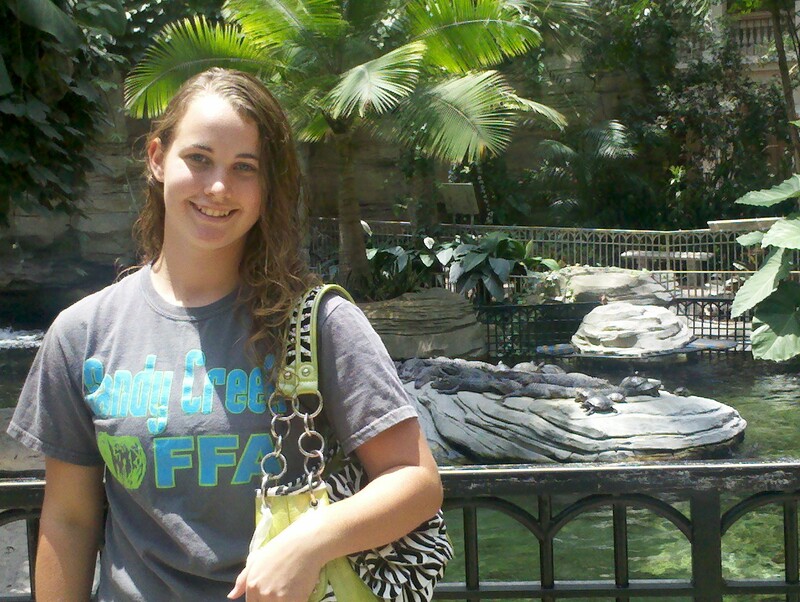 Sweet 16…And LOVES Raising Cattle for Beef! 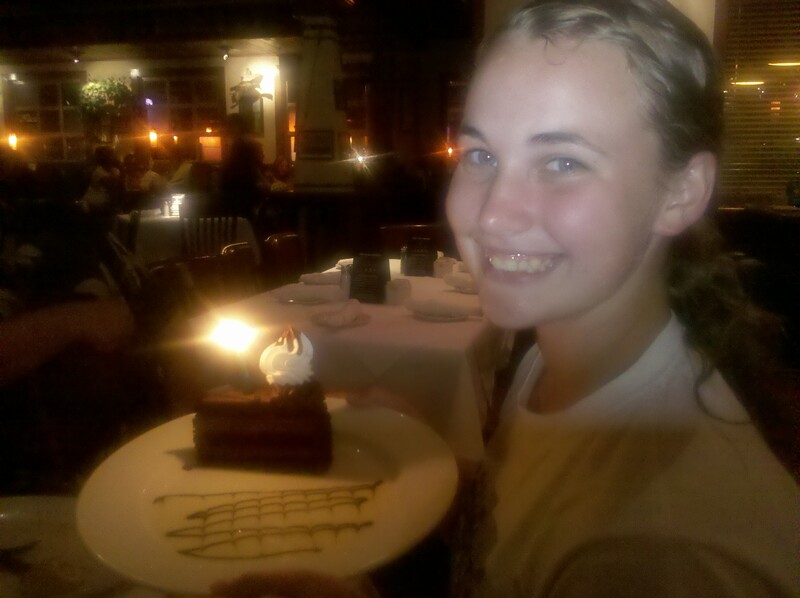 Kaydee turned 16 while I was at the Cattle Industry Summer Conference in Orlando. What a treat for her to get to go there with me – and eat that delicious cake (that I bought for her)! I have received some pretty great birthday presents, but I don’t know that any of them compare to cake in Florida! We stayed in a super nice hotel where she took advantage of spa services and the swimming pool. I thought it was great fun to check in on the alligators and turtles each time I went from our room to the meeting area! And of course, we had to make it to a theme park one night. Our park of choice was Islands of Adventure, right beside Universal. We started off with the Spider Man ride, made our way to the not-surprisingly long wait for the new Harry Potter ride, enjoyed some burgers at the NBA restaurant, and then finished with the Jurassic Park ride. Yes – at least one time on that last ride, while heading straight down and feeling like I would certainly fly out over the padded bar that was supposed to hold me in…I screamed like a little girl. And of course, the perfectly timed camera for the ride captured every ounce of horror I was feeling – NO! we did NOT purchase that picture! And yes – I was soaked! Besides the fun stuff, Kaydee decided to sit in on a couple of my meetings with me. I wasn’t shocked that she wanted to join me, but I was surprised that she took a genuine interest in the topics of discussion and opportunities that lie ahead for beef. The committee I sit on is the New Products committee, so I’m sure it helped that we got to do some taste-testing…that’s definitely one of my favorite parts of the meeting! I was pleased that after we left, she did ask questions for clarification and she showed a true interest in making sure the breeding decisions we make on our farm are the best for not only the cow herd & seedstock production, but the meat that will be the end result. At her young age, she gets the big picture. Certainly, having a teenage girl, or any teenager for that fact, in the household can be a challenge. Kaydee’s maturity and sincerity for beef production she is displaying assure me that she is doing o.k. & all the people along with Matt and I that are helping to shape her into who she is – well folks, we are all doing something right. Whew! Wordless Wednesday…Some Flowers and Some Fun! 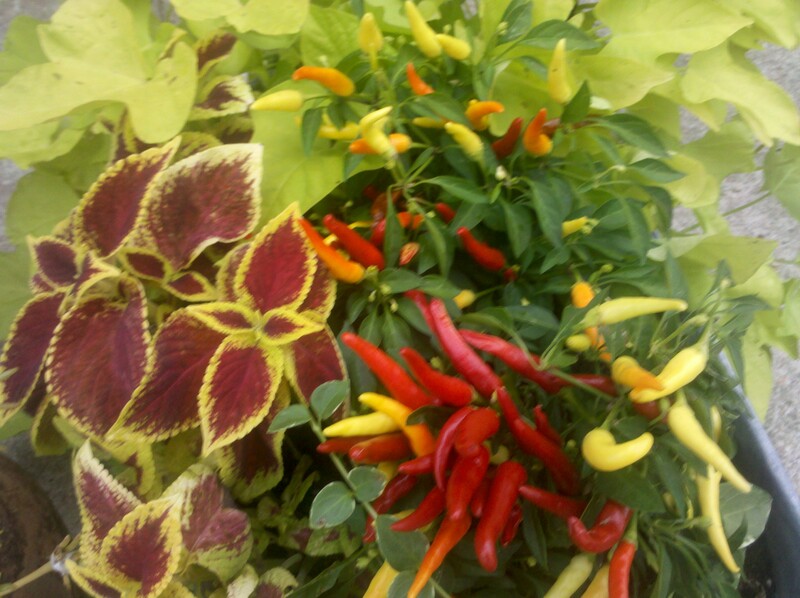 My ornamental peppers have done way better than my real peppers this year! 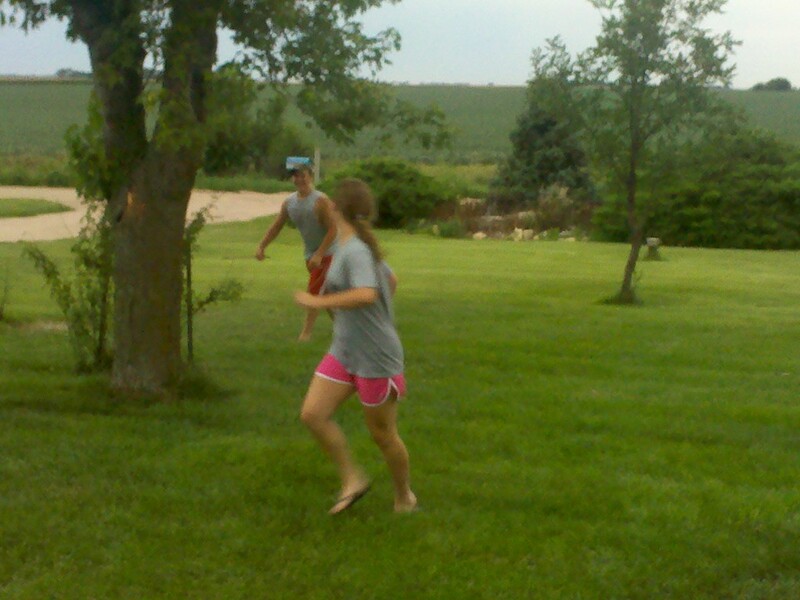 It was a perfect night to play tag after supper - we ate really early for once! 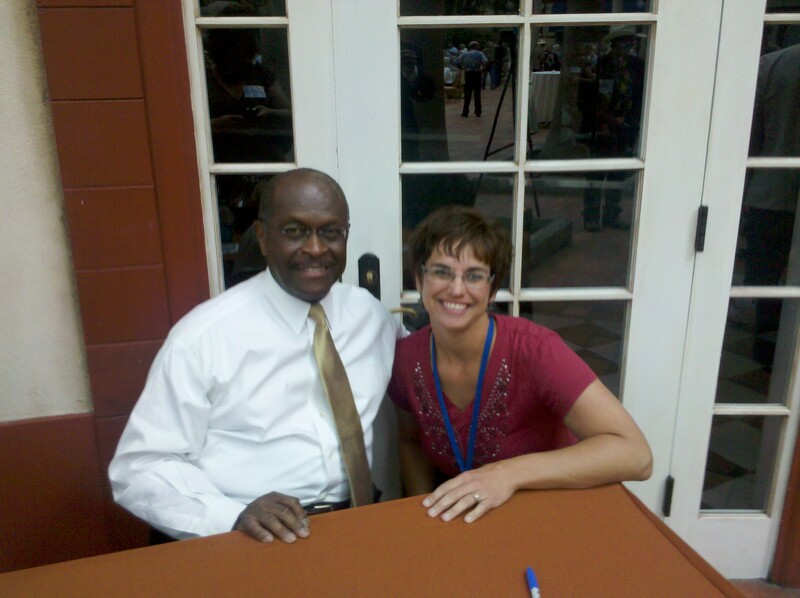 This week, I got to spend 3 days – yep, count ’em up, 3 days (including travel time) in beautiful Orlando, Florida. Yes – most folks would spend at least three days there PLUS travel time, but not this busy gal. I was there for the Cattle Industry Summer Conference as a member of the Nebraska Beef Council. Beef is my passion…it’s what my family raises, it’s what we love to eat, and I want to be part of assuring a strong future for beef. Kaydee got to go with me for this trip, so next time….the stories of the fun stuff!